Rod’s law enforcement career began in 1979 with his first assignment as an Animal Control Officer for the Golden Police Department. After receiving his first letter of commendation at the age of 19, he decided that law enforcement would be his chosen career. The next semester he enrolled at Mesa State College to play football and to major in Criminal Justice. When funding became a blockade from continuing, he joined the United States Marine Corps in 1982. As a Marine he was assigned and trained as an Intelligence Specialist. Part of the work he performed was to conduct evacuation plans and threat, vulnerability and risk assessments for US Embassies abroad. At that time the Middle East was of major importance. One of the evacuation plans that he and his team developed for the embassy in Bahrain, was fully executed during Operation Desert Storm, 1991. The success of this plan allowed for all personnel and classified information to be removed with no losses. Rod was appointed as a Police Officer for the Town of Vail Colorado in late 1984, where in addition to his regular role as a police officer, his collateral assignments included DUI Instructor, Firearms Instructor, Radar Instructor and Field Training Officer. During this time, he continued his service as a US Marine Reserve in addition to his police service. He was then appointed to Police Officer for the City of Grand Junction Colorado in 1988. 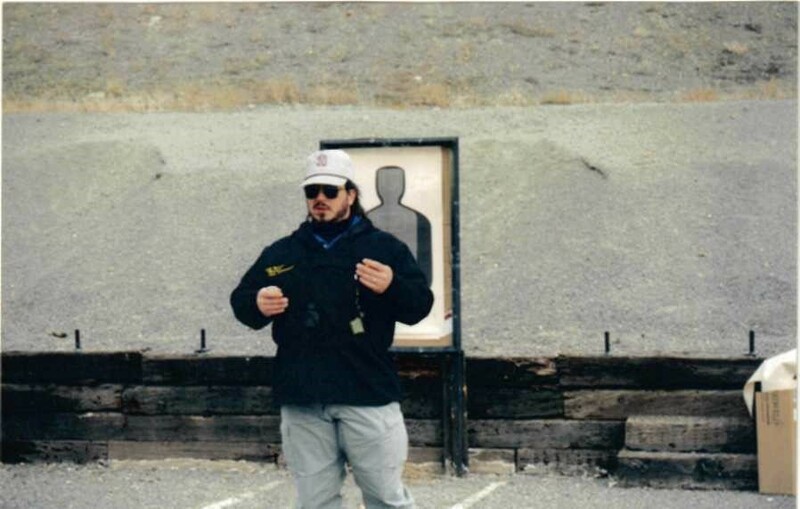 During his tenure at GJPD, he was assigned to the SWAT team and became the Department Rangemaster which lead to him receiving a Master Level Firearms Instructor Certification. He was also appointed as an Academy Instructor in numerous fields and received a teaching credential from Colorado Vocational Schools in Criminal Justice. Later as a Detective assigned to the DEA task force/ Special Investigations Unit, he focused on high level investigations ranging from street crimes to sophisticated organized crime. He became an expert witness in numerous levels of expertise and was trained in the latest security and surveillance technology. Rod became the first Drug Recognition Expert at GJPD and his expertise as a DRE and Master Firearms Instructor led to his involvement of creating an entirely new DUI and Firearms program including the insight to development of new agency policy and procedures. His thirty plus years of professional service includes numerous large scale major events such as the 1986 Winter Olympics in Vail Colorado, VIP visits from President’s Ford, Bush Sr. and Clinton and the annual Junior College World Series Baseball tournament. As a Senior Patrol Officer and SWAT operator he was heavily involved in security planning for these events. His experience includes working with the US Secret Service and other private event security providers. In 2000, Rod moved to Washington State where he enjoyed the starting of his private drug testing business. He was also hired by Pierce Transit in June of 2000 as the Security Manager. During his tenure at Pierce Transit he created the first System Security Emergency Preparedness Plan for them and conducted the first Threat and Vulnerability Assessment as part of that production. The first review was conducted just a month before the terrorist attacks in 2001. This significant event propelled transit security to an unprecedented level. In his capacity, he collaborated with transit organizations across the country to help define the latest approach to Transit Security. He became an instructor for the Transportation Safety Institute, (TSI) and specialized in Transit System Security, Bus Hijackings, Transit Explosives, Workplace Violence and Transit Terrorism. Security Plan Development and Threat and Vulnerability Assessments. In 2006 he became the first Transit employed, Police Chief in Washington history. Washington’s Attorney General, Rob McKenna spoke at his swearing in ceremony. During his tenure at Pierce Transit he created the first non-contracted Transit Police Department, In house Security Department with (Special Commissioned Transit Security Officers, Security Technology Division and Emergency Management). In his capacity as Transit Police Chief, he provided oversight, direction and leadership to all security and police activity within the transit system and is responsible for developing collaborative working relationships with over 44 different law enforcement jurisdictions, transit organizations, Department of Homeland Security, numerous other federal agencies and private sector partners to assist with securing the Pierce Transit system. He was the founder of the Transit Security Counsel, sponsored by Washington State Transit Association and was part of a collaborative team that changed the Revised Code of Washington (RCW) on Unlawful Transit Conduct. This gave him a unique knowledge of the vulnerabilities of the Puget Sound Region. During his tenure at Pierce Transit he propelled the development of a three-tier system to serve as counter-measures to the results of previous years; Threat and Vulnerability Assessments and fill gaps identified in those assessments, while working collaboratively with other regional transit systems and local, state and federal law enforcement organizations. He holds a current Washington State Law Enforcement Commission and has completed First level, Middle Management and Executive Level Training from the Washington State Criminal Justice Training Commission. Under his leadership, the Pierce Transit Department of Public Safety was born and was awarded the Gold Award from the Department of Homeland Security in 2012 and the American Public Transportation Association’s Gold Standard Award in 2011 and again in 2012 along with the New York City Transit Police. Rod led his Agency is Operation Top Off II which was a national Emergency Management full scale exercise and conducted numerous other local exercises to test the procedures and preparedness of an all hazards approach to terrorism and natural disasters that could impact mass transit in the Puget Sound region. He is certified to design and develop emergency preparedness training exercises and has retained contacts at the local and state level for such exercises. Rod is a well-respected leader in the fields of Police, Security and Emergency Management. He has been a resource for many other organizations within the Puget Sound region and was a member of the Governor’s sub-committee on the protection of critical infrastructure through the State of Washington Department of Emergency Management.